Cozumel, Quintana Roo. 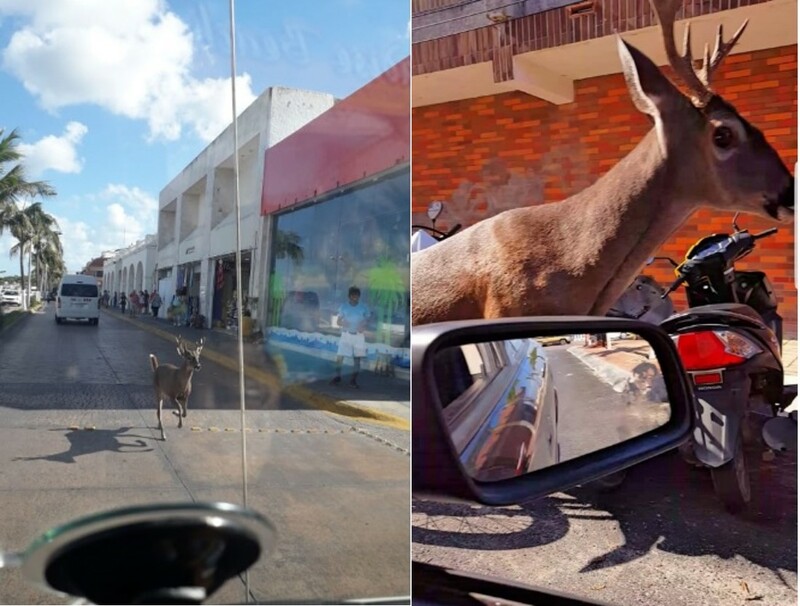 Thursday, February 7, 2019.- Residents and tourists in the island of Cozumel were surprised on the early morning hours of Thursday Feb. 6, as they saw a deer roaming the streets of this tourist destination apparently lost. According to the testimony of local residents, the animal would have escaped from a home where several of them live in captivity. The deer was first seen near the pier and later running around the streets of downtown Cozumel. Several motorists shared the photos on social networks. Apparently the animal went “back home” after roaming the streets of Cozumel for about an hour or so.